Prepare to be WOW'ED! 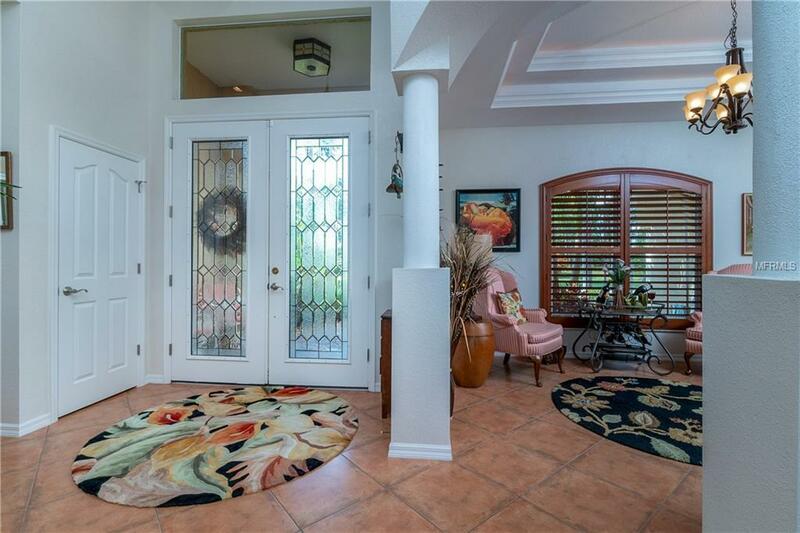 From the moment you enter through the beautiful leaded glass double doors, you'll know this was a custom built home unlike most of the others you will see! 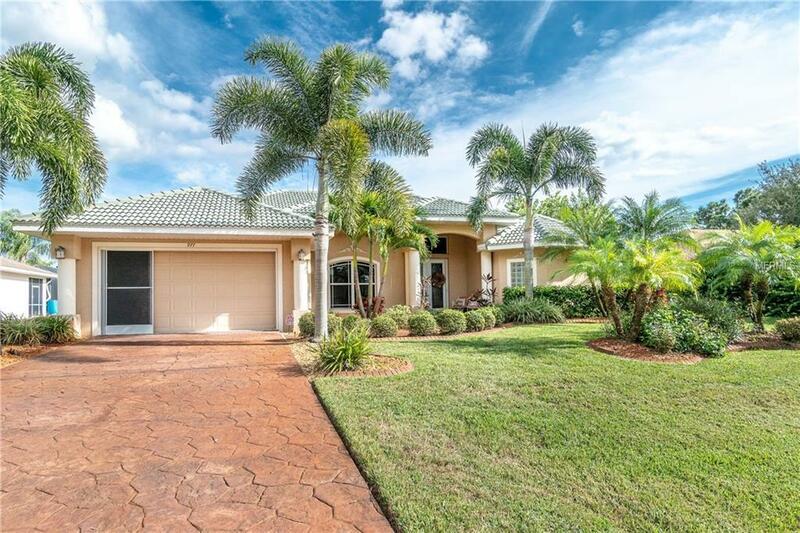 W/over 2700 sq ft of living area, the spacious open floor plan has lots of custom accents such as double tray ceiling w/double crown moulding in the great room, built in niches, gas fireplace, tiled flooring on the diagonal & 8' sliding glass doors w/electric remote controlled sunscreens. Dining/Library has double tray ceiling w/lighting. Gorgeous Kitchen has Cherry wood cabinetry w/granite countertops, both built in oven+sep gas oven/range, closet pantry, breakfast bar & nook w/aquarium window. Den/library doubles as the "mancave." Extended Master bedroom has tray ceiling, wall closet+walk in closet & sliding glass doors to Lanai. Master bath has double raised face vanities w/solid surface countertops, dressing table, garden tub, dual entrance shower & linen closet. Both Guest bedrooms have carpeted flooring & walk in closets. Guest bath has combination tub/shower w/glass block accent & both linen & wall closets. 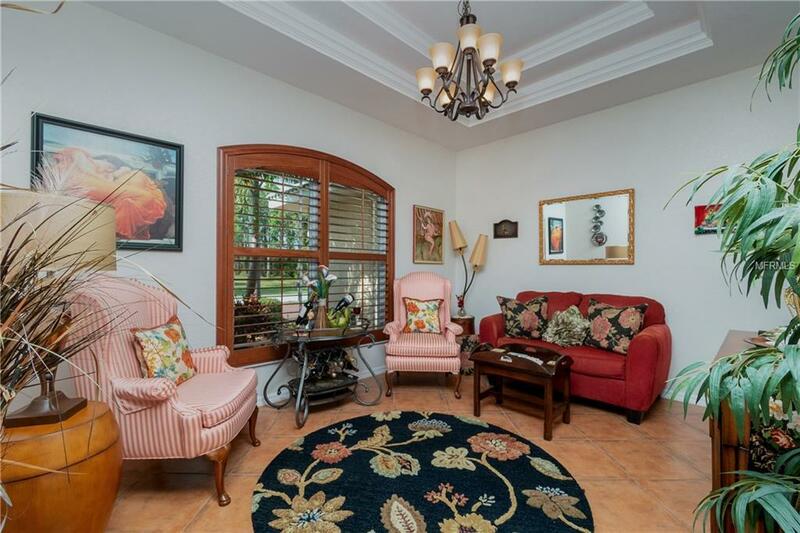 Plantation shutters & ceiling fans throughout! 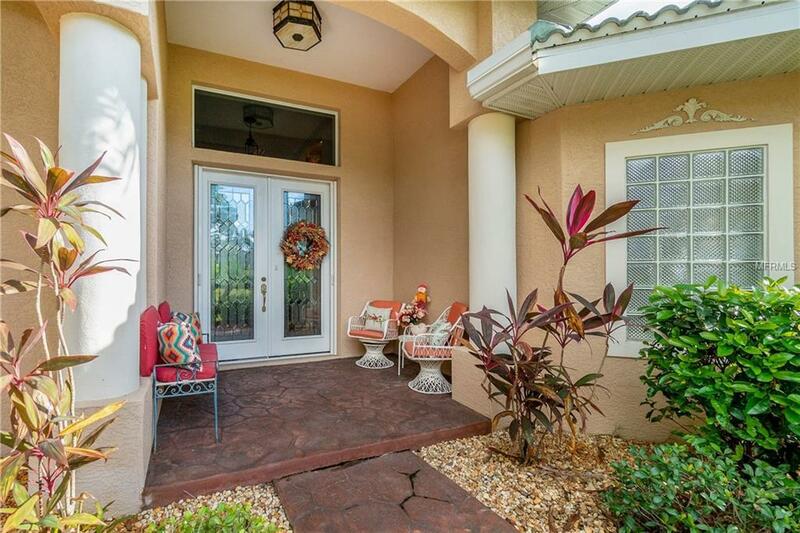 Best of all is the screened Lanai which includes a built in wet bar, storage closet w/utility tub & outside shower. Enjoy the glorious FL weather in the heated saltwater Pool then jump on your bike & hit the Pioneer Bike Trail behind the house! There's 1/2 Bath off the pool. This retreat also includes Security System, Surround sound throughout, gas water heater & fire pit!